Back in ancient technological times, pay phones were widespread across the country, a popular method for getting in touch with people while away from home. But it seems that pay phones have become so rare and outdated that some children don't even know what the devices are. 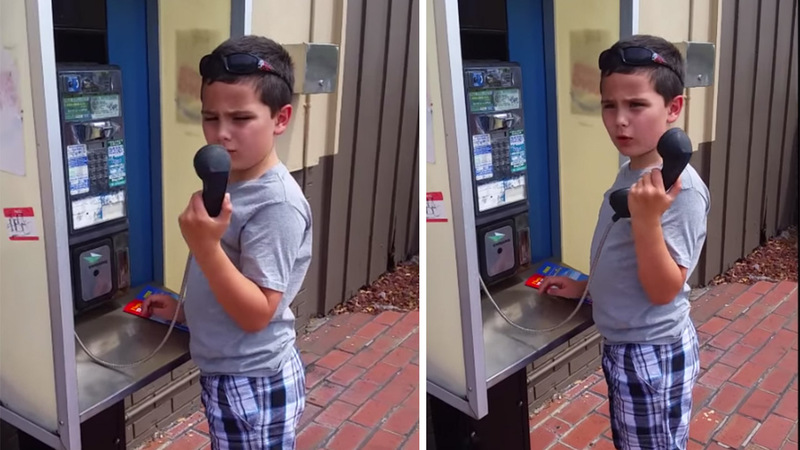 In the video above, a confused, young boy examines a pay phone, trying to decipher what the purpose and function is of the instrument. "He has no idea what it is," the woman filming says as she laughs off camera. After examining for 15 seconds, the boy looks up and asks "Is this an old fashioned phone?" as the woman replies yes, barely able to contain her laughter.